I know that I can find many types of popcorn. There’s butter, extra butter, light butter, kettle corn, salt, or no salt. What if I want to try something different for my next movie night? What if I don’t want the same old humdrum popcorn? Now that my husband has brought home two cases of Boy Scout popcorn (I never knew they sold popcorn) I have plenty of chances to make my own popcorn snacks for movie night. This first one is sticky, chocolately, yummy, and the whole family will love it! Enjoy! In medium pot, bring sugars, corn syrup, water, and butter to boil. Reduce heat and mix in cocoa powder. Remove pot from heat. Pour popcorn in a large mixing bowl. 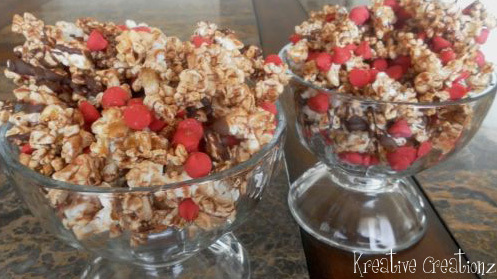 Using greased mixing spoons, pour sugar mixture over popcorn and stir until popcorn is evenly coated. Line a casserole dish with greased wax paper. Pour half of the popcorn into dish. 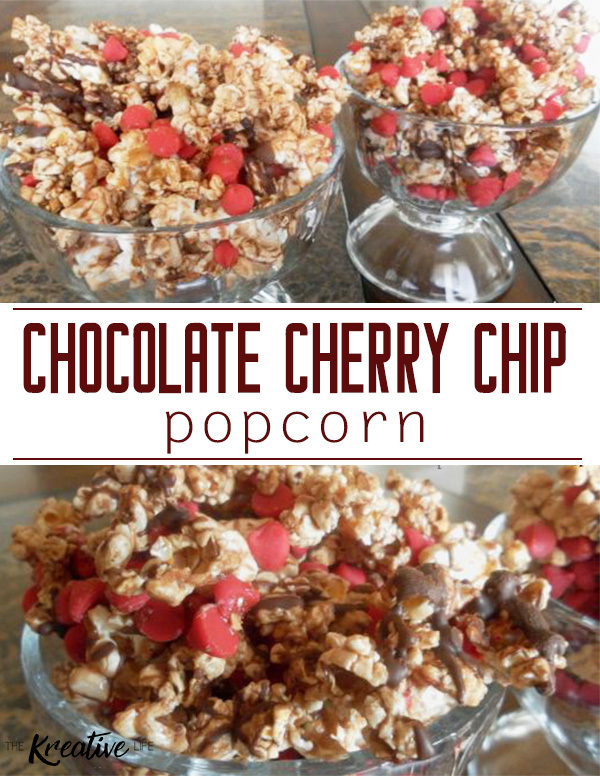 Pour all of cherry chips over popcorn. 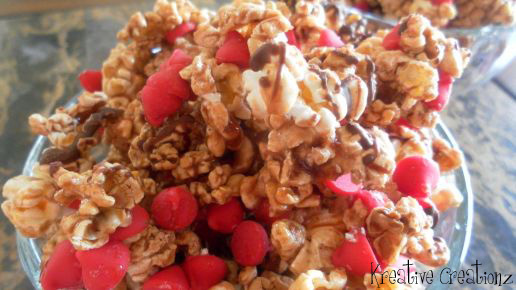 Layer the last half of popcorn over cherry chips. Drizzle dipping chocolate over popcorn. Place in refrigerator and let cool for 15 minutes and then remove and let sit at room temperature before serving. I guarantee that you will love it, Trina! Hi, Frances! 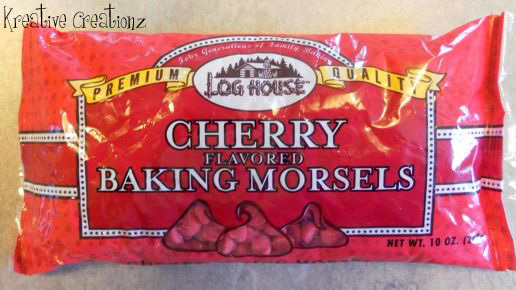 They sell cherry chips at Wal-Mart. They taste so great. Thank you for stopping by, Ingrid! I’m on my way to vist your blog now. This looks really good! I have never seen cherry baking chips before! I will look for it! Hi, Jenni! I’ve been buying them from Wal-Mart for years. You’re welcome, Jackie. Thank you for hosting! I don’t think I have ever seen Cherry Chips, but I will be on the look out for them now. I love this recipe and I am featuring it in the Top 10 of the In and Out of the Kitchen Link Party post that will go live Monday morning. Thanks for sharing! 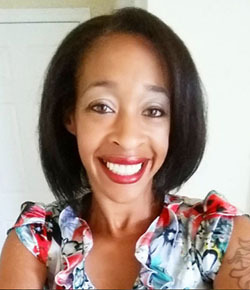 Thank you so much for the feature, Cynthia! This is definitely something my sister would love. Thank you for the feature, Leslie! Oh my goodness now this is some popcorn I could live off of! Looks amazing Kendra!